For London Tree Week (27th May – 4th June 2017), I wrote a poem called Ash which you can listen to here. It’s read by the wonderful Beth Bridges. For ‘Blue Monday’ on 15th January 2018, I wrote this poem, again read by the wonderful Beth Bridges. The link to the full article, Help Beat the January Blues, is here. 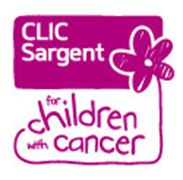 Also in 2018 I have taken part in this year’s #GetInCharacter auction for CLIC Sargent by offering a 3 chapter critique and will be joining the charity auction for The Book Club on Facebook. In 2017 I helped raise money for S.A.L.V.E. and am also thrilled to have a poem in ‘Hands & Wings, Poems for Freedom from Torture’ launched by Philip Pullman in Oxford. More details are here. I was very pleased to be involved in the auction for Words for the Wounded organised by the CHINDI authors – more details are here. Thank you to the successful bidder. I was also delighted to be part of Authors for Nepal charity auction. Thank you to the two successful bidders who won signed books & mentoring/critiquing slot.